That was the question that JEEcamp sought to answer: an ‘unconference’ around journalism enterprise and entrepreneurship that looked to tackle some of the big questions facing news in 2008: how do you make money from news when information is free? Where is the funding for news startups? How do you generate community? What models work for news online? 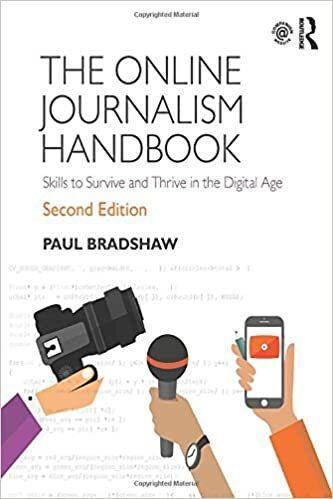 Half the attendees represented the people behind the mainstream media’s attempts to get to grips with the web – the hyperlocal sites of the Teesside Gazette; the mapping and crowdsourcing of the Manchester Evening News; the blogs of the Birmingham Post. The other half represented what is clear is an emerging cottage journalism industry: niche news websites; local blogs; citizen journalism and news prediction services. Instead Rick explained his own business model – a combination of old-fashioned local ad sales; a self-built ad service, Addiply; affiliate sales; and syndication to those big publishers looking to add more local coverage to their global brands. This was an ‘unconference’, so after Rick’s speech the emphasis was on discussion and exchanging experiences. 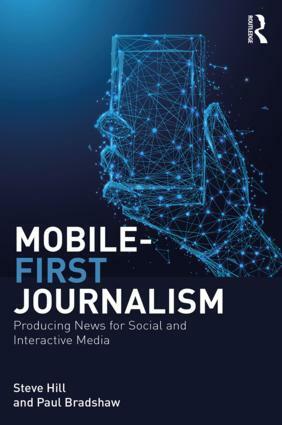 The group discussing community spoke of the problem of users’ “sporadic involvement“; of journalists not connecting with people online; technological barriers to instant publishing; the need for journalists to become brands. There was an anecdote about bloggers recruited by the Birmingham Post ‘scooping’ the paper by scheduling embargoed news to go live the minute the embargo was lifted. (Not that the journalist concerned felt this was a bad thing). The group discussing business models scratched their heads at the possibility of OhMyNews’ tip jar model working elsewhere and why it didn’t make a profit from ads and syndication; whether big publishers should buy up startups; and the problems of aggregation, Martin Stabe arguing that the only aggregators that had any chance of success were those that added something, such as geotagging. The funding group talked of the importance of five year financial forecasts; how to tackle web-ignorant banks; why there was a need for a British equivalent of the Knight Foundation; and how angel investors want to see a big existing market because the risks of complete failure are lower. And the online news models group discussed how journalism is not just about reporting, but networking; the importance of interaction on every level rather than simply forums; and the need to get out alerts, while ensuring accuracy. The event was covered live by a team of journalism degree students using CoverItLive at JournalismEnterprise.com, which enabled people to contribute to the discussion – and create discussions of their own – online. In addition there was a JEEcamp aggregator which pulled together blog posts, images, video, bookmarks and tweets following the event, and a Twitter aggregator pulling together tweets from attendees. Video of the event should appear on the European Journalism Centre website. Video of Rick’s speech was live streamed by Mark Comerford. Reflections on the event worth reading elsewhere include Azeem Ahmad’s report on the day; Alex Gamela’s online highlights; Journalism.co.uk’s reports; Charlie Beckett on community; Pete Ashton on news as a game; and Rick Waghorn’s blog posts written after the event. The day ended with a panel discussion of some of the emerging issues. As I looked out at the people gathered it occurred to me that in ten years time one half would probably have bought out the other half. The question is, which half will be which? hello. I am a blogger from Philippines, and i just want to get info./tips from. I want to turn my blog site into Journablog. what is the first step to be done??? And one thing that i bothered is how can i make my Articles to be more realistic if i don’t have any Cameras, video cameras…huhu. i really need someone to help me…and it would be more greater if they would give me gadgets to use. lol. feel free to drop on my site…and pls do responce on my message. @aldwin – first step: explore blogs in your area. The blogroll on this site provides some first places to go. Not sure what you mean about ‘realistic’ – cameras don’t make it any more realistic. Just get out there and speak to people, text will do.